We are involved in many outreach projects right here in our neighborhood and throughout the world. One of the primary responsibilities of any church is to care for people. Jesus shares with the people in Matthew 25 about caring for others and ends it with, “I tell you the truth, whatever you did for one of the least of these brothers of mine, you did for me.” (Mat. 25:40). In fulfilling this mandate from Jesus, and in keeping with our church motto that First UMC is “A Church of Servant’s Serving Christ” we have found a niche that is not being met in Siouxland. Many of you have heard of food pantries (and we give regularly to the food pantry at Grace United Methodist Church) but what is often left out are the non-food items that people need. Yes, food pantries may stock some of these items but The Personal Care Cupboard will be stocked with items that a person or family cannot get on food stamps or WIC. This includes such items as toothbrushes and toothpaste, shampoo, soap, toilet paper, personal hygiene, laundry detergent, and other non-food items that people need. 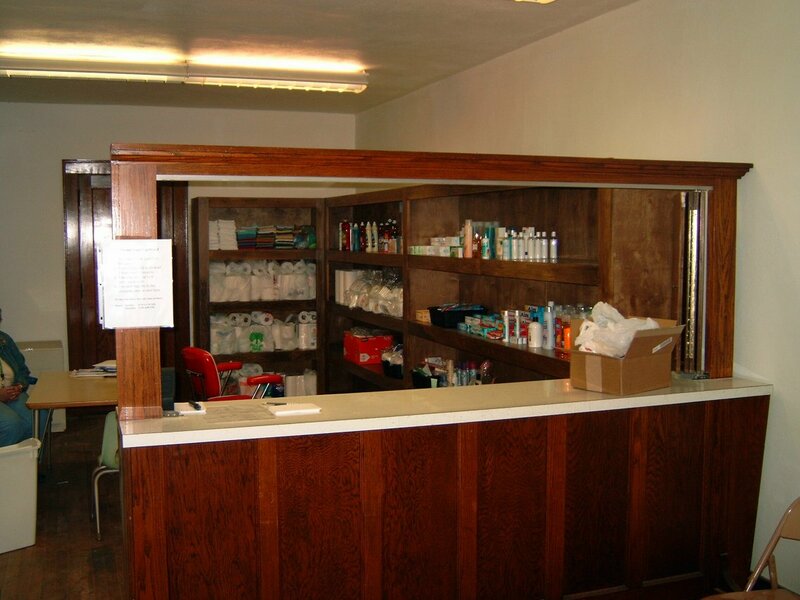 The Personal Care Cupboard is located on the east side of the original church building and is handicap accessible. * When is it open? It is open 2 days a week (Wednesdays from 5-6 pm and Thursdays from 2-3 pm). * Who can use The Cupboard? Anyone with a picture ID with their address on it, and they can make use of this service only once every 3 months. Have an Hour to Volunteer in the Coming Weeks? The Personal Care Cupboard Can Use You. The duty of the volunteer is to check the person’s ID who wants assistance with a list of those we have previously helped. If we have not helped them, then you fill out a simple information card with the information from their ID. Then, Judy Wanned, or another volunteer, helps the person get up to 6 items from The Cupboard area. Here is a list of the items we stock in The Personal Care Cupboard. Feel free to donate any of these items to assist the families that us The Cupboard. 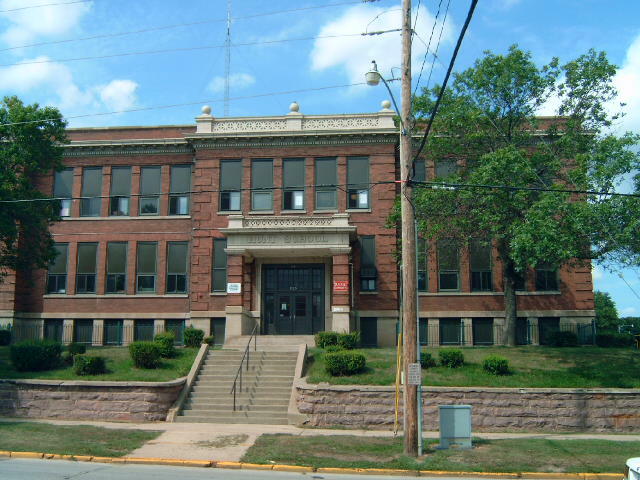 Hunt School Partnership - Hunt Elementary School is a public school one-hal f block from the church. Fifty-percent of the children who attend Hunt get free lunches and 75% get free or reduced priced lunches. We are in parntership with Hunt School in helping to collect school supplies, clothing, shoes, learning activities, or whatever they need. About every month, we ask the people of the church for certain donations suggested by the faculty of Hunt. In addition to donating our money and our goods, many members volunteer at Hunt School as mentors or to do neeeded volunteer work at the school. 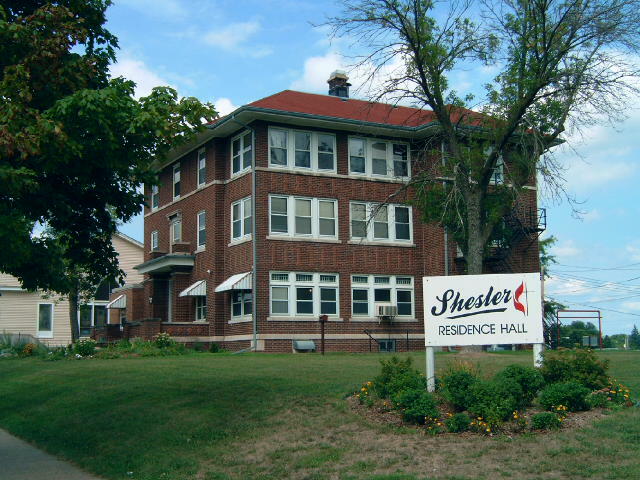 Shesler Hall - Shesler Hall is a haven for women with special needs. Shesler serves women who are recovering from mental illness, are mildly mentally challenged, who need inexpensive living quarters, or who need shelter because they are homeless. It is a community living environment that enables these women to experience independence. Shesler's program enhances the whole person: physically, mentally, spiritually and emotionally. There is no other home of its kind in the area. First UMC supports Shesler (which is only 6 blocks from the church) through donations of money, time, and goods. We also assist the residents through employment opportunities here at the church. Siouxland Soup Kitchen - Quarterly during the year, we prepare and serve the evening meal at the Siouxland Soup Kitchen. Change to Make a Change - Each month, the change in the offering plate is desiganted toward an outreach ministry here in Siouxland, all of which are included on this page plus many more including the Council on Sexual Assalt and Domestic Violence. Habitat for Humanity - When needed, the local chapter of Habitat for Humanity contacts us for a workday to do what needs to be done on a house they are building. We have done everything from the basment up to the roof. Crop Walk - We participate each October in the CROP Walk. Many of the ways a CROP Walker, or a sponsor, make a difference is with assistance to uprooted families throughout the world ... with water resources development efforts in needed areas ... with the more than 3,200 local food pantries, food banks, and meal sites in the United States, including right here in Sioux City. 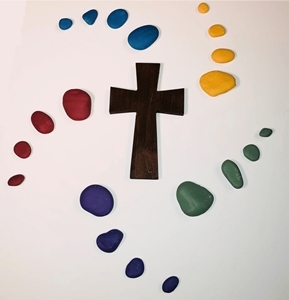 Through leading the walk to participating, First UMC has been an active part of this ministry for years. Compassionate Friends - We work in cooperation with Compassionate Friends in their ministry to those who have lost a child to death. UMCOR (United Methodist Committee on Relief) - Wherever there is a need, UMCOR is there to help provide relief. From tsunamis to earthquakes to floods to famine, we as a local church take special offerings to aid others in need throughout the world. Click on the web link below to see what UMCOR is doing in the world today.